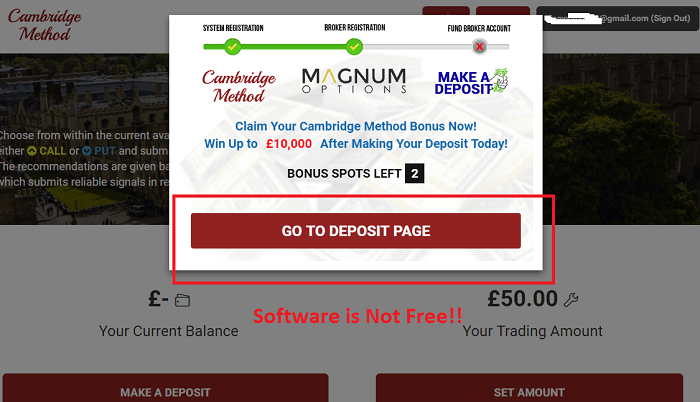 Cambridge Method Review – Another Scam Software Busted!! Daily, a new binary options trading software, is introduced in trading industry and today Cambridge Method is launched by James Hockton. 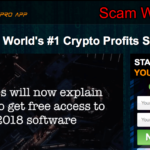 For you information, this trading software is just another SCAM and if you want to know why we’re telling this, then keep reading our Cambridge Method review. After completing our in-depth research on Cambridge Method system, we come to know that it is full of fake promises and claims. There is not a single thing which is genuine. 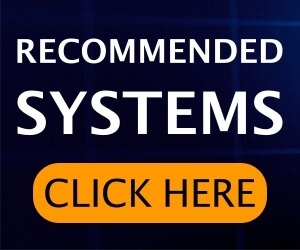 In this review of Cambridge Method, we’re going to expose it completely so that all the readers must know the reality of this trading software. 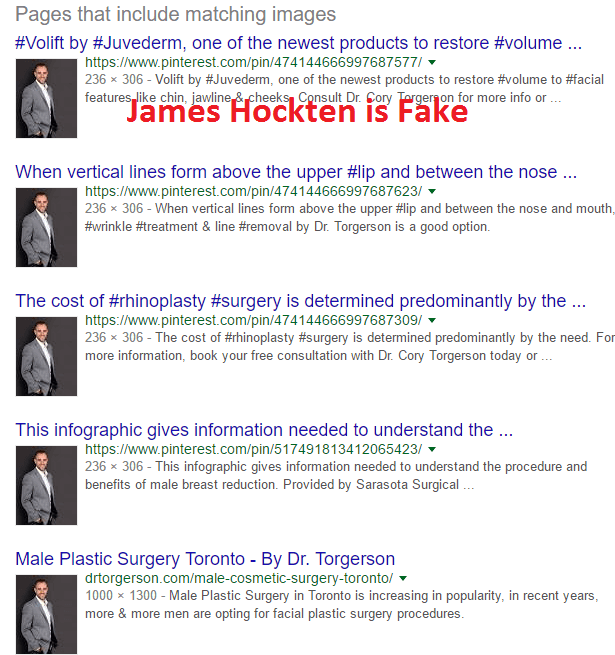 But first, it is very vital to know about the fake claims made by James Hockton. 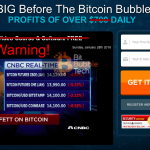 It is binary options software which developed and owned by James Hockton. After years of testing he finally able to create a trading software that actually turned him into a very wealthy man. According to him, this binary options software can also help you in making thousands of pounds into your bank account if you start today. Anyone can use Cambridge Method software for free for six months. 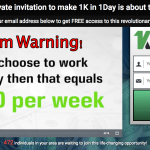 Once the free membership expires users will have a minimum of £10,000, into his account and after that if you want to continue, then you need to purchase premium membership for £512 a year. Winning Rate of 97.56% with manual and auto trading options, which is impossible to achieve in binary options. If you follow the method as mentioned, then you will definitely make profit of £800 -£1,000 daily. First it is impossible to make this much profit without investing anything. Also, there is no valid proofs of this guranteed profit is featured on the website or in the pitch video. No doubt the website of the this trading software is very clean and gives the reflection that this trading software is genuine. But in reality, it is a SCAM and you need to stay away from it. If you check the website, then you will find out all the information about creator and owner of Cambridge Method. Like he was working as Risk Analyst Modeler in the London stock exchange, 4 years ago. Even with the help of this trading software he has earned lots of pounds. But the truth is that he is lying to us and we have proofs to confirm this thing. When we searched his photo using Google image, we come to know that the picture of James Hockton is stolen from the internet and in reality this guy is a model. As proof, you can check the following screenshot. So this confirms that someone is managing this whole scam from the backend. On the website, if you check about information of James Hockton, you will check the line which reads that “he is offering this software for last six months”. Now this is another fake and misleading mentioned on the website and we have confirmed this thing by checking the website domain registation details. From there we come to know that domain was purchased on 23 May 2016. 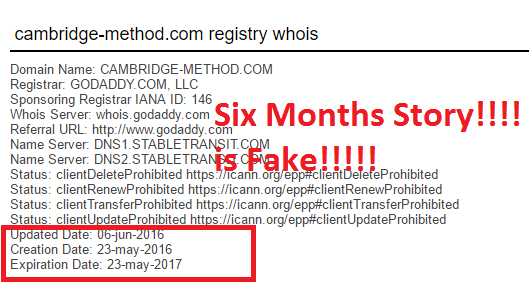 If the domain was acquired in May 2016, then what trading software he is offering to users from last six months? On the website, if you scroll down a little bit, then you will read about success stories of the users who have already used Cambridge Method system and earned lots of pounds. But after completing our verification we come to know that all these users didn’t exist in real life. Even the pictures of them are also stolen from the internet. 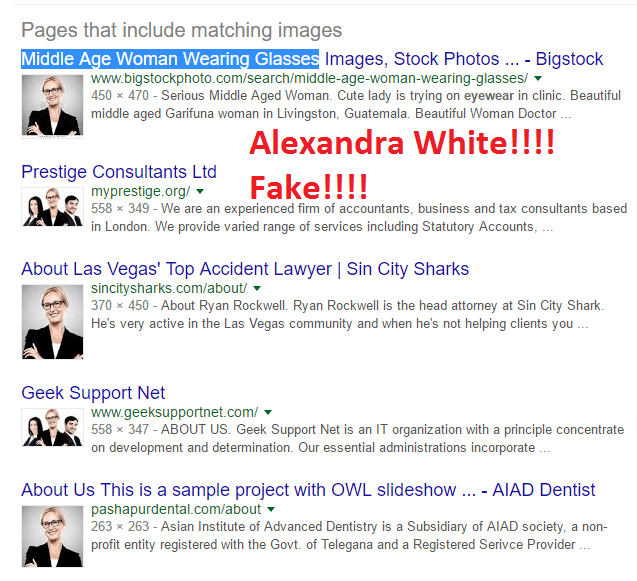 For Example, When we searched the image of Alexandra White, who claim to earn £32,961 in profit. We found that her picture is a stock image and fall under the category named as “Middle Age Woman Wearing Glasses.” As a proof check the following screenshot. And same is in the case of other memebers. 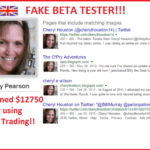 Now this confirms that this trading software showing us fake testimonials, just to gain the trust of new traders. If you scroll down to bottom of the website, then you will found Facebook comments and Tweets from the users who also make profit using Cambridge Method software. Now for your information, these are also fake comments and tweets. If you try to click on the profile of any Facebook user and Twitter user, then you will not be able to click on it. Also, when we look out for these users names on the both the social sites, we didn’t found profile of any users. Even we also tried to search the image of users named as Tilly and what we found is another stock images. So there is no doubt in our mind that it is just another misleading information provided to users. When we created our account using the instruction provided, after entering a name, email id, and mobile number. The system redirected us to the page where we saw that our trading account has no balance, and the trading amount is set to £50 with a popup forcing us to visit the deposit page where it asked us to enter the credit card details. Well, if you will see this popup clearly than it is offering you bonus of 10,000£s. From all of the above proofs, it is clear that there is something wrong with this complete trading software. Verdict: Cambridge Method is a scam. 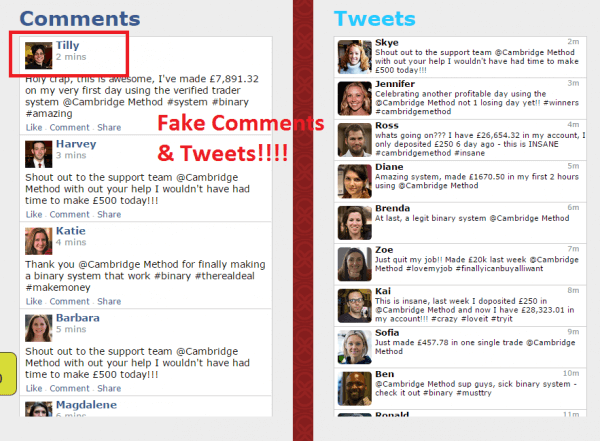 So in this Cambridge Method review, we have already proved that Cambridge Method has made lots of fake claims with us. Also, we have provided you sufficient evidence which are enough to prove this trading software a SCAM. So in our opnion, it is not a good idea to invest in it. 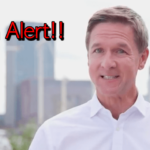 You can check our blacklisted signals list here to find similar scams. Skip Cambridge Method and invest your money in other genuine trading software. 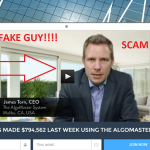 AlgoMaster System Is Worst Scam – Find out Why! !